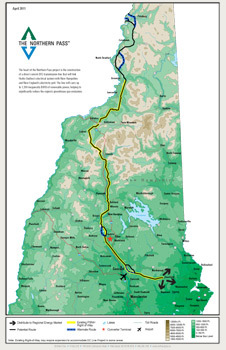 Map from Northern Pass. Please note, this image and link is an industry website. It is there the picture of the proposed route was taken from.